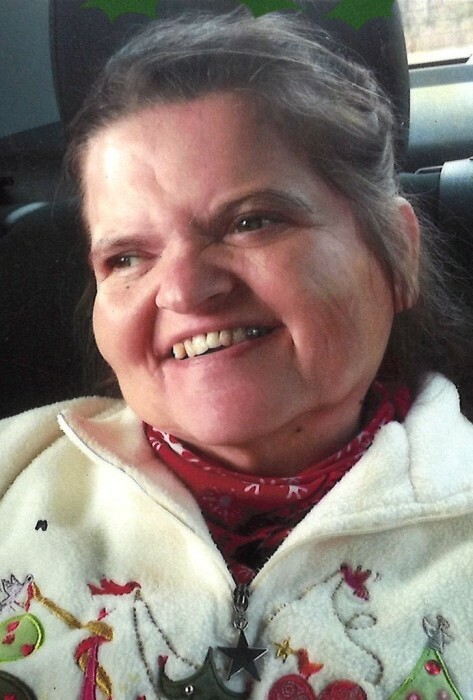 Karen Elizabeth Rosser, age 47, of Sanford, NC, passed away on Wednesday, February 13, 2019 at First Health Moore Regional Hospital surrounded by her loving family. Karen is survived by her loving parents, Bob and Patsy Rosser of Sanford; brother, Steven Rosser and fiancé, Tabitha Brown of Sanford; special nephew, Kaden Rosser of Colerain, NC; Uncle, Michael Benoit of Sanford and many aunts and uncles. The funeral service will be held on Saturday, February 16, 2019 at 2:00 PM at New Life Fellowship Church with Rev. Gail Dickens officiating. Burial will follow in the church cemetery. There will be no formal visitation.